Typ média:Utrium; Technologie Ultrium (kapacita v GB bez/s kompresí):Ultrium 3 (400/800). 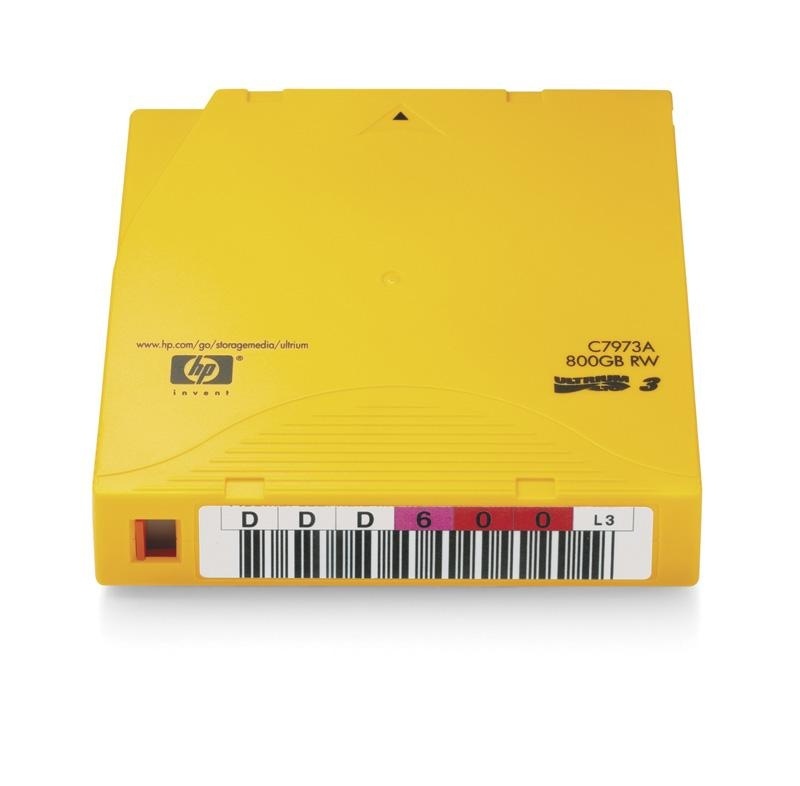 With HP Non-custom Labeled LTO Ultrium media, you no longer have to label your own cartridges, saving you time and the risk of retrieval errors. Barcode sequences are unique to each batch ordered – no codes are repeated. HP rigorously tests its precision-engineered, high-resolution barcode labels using software unique to the HP Automation Group to evaluate and warrant the performance of its labels in demanding, split-second datacenter environments. These labels are professionally applied in a clean environment to ensuring 100% readability accurate storage. Non-Custom Labeled cartridges ensure 100% label readability and can be ordered online, in packs of 20, using a fast and simple process. For those customer who value the added security that RFID adds, customers have the option to integrate it into each label at minimal cost. 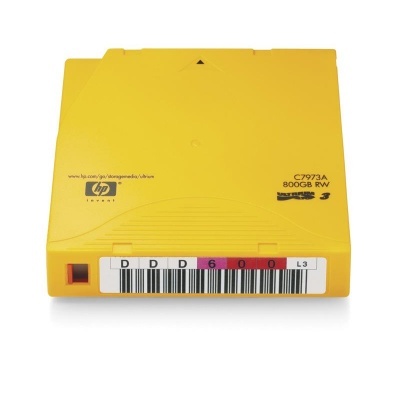 The RFID tag is embedded into the back of the non-custom label and offers tracking, audit and security advantages for those with IT asset tracking systems.